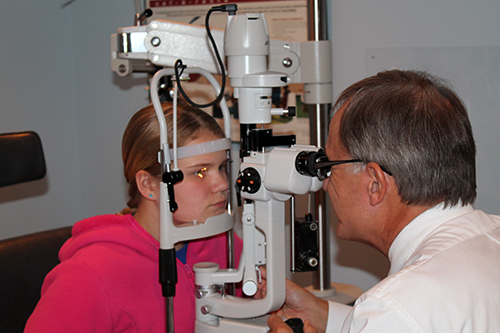 The Aboite Family Eyecare Center and Dr. Zachman understand that good vision plays a vital role in the learning process. To catch vision problems early we provide free pre kindergarten vision screenings at our office for non-public school students. We also go to public schools to conduct free vision school screenings. These screenings while important in detecting children with vision problems, do not catch all problems. They are not a substitute for a professional comphrensive eye examination.